Please Note Cancellation Of Your Holiday Will Result In The Loss Of Your Deposit. To Assist In The Prompt Return Of Your Security Bond I Will Need Your Bank Details Before You Leave The Caravan..
Duvets And Pillows Are Provided But Guests Must Bring Their Own Linen/Bed Sheet Covers. Guest Should Register At The Reception Once Settled To Obtain Membership Passes Which Need To Be Purchased To Access Park Facilities. The Ideal Holiday Break For Anyone Wanting To Relax, Golden Sands 5 Star Rated Site Has Something For All The Family, There Are Also Weekly Outdoor Markets/Car Boot Sales, Asda Store is Within Walking Distance Along The Sea Front, Llandudno and Snowdonia Are Some Of The Wonderful Places You Could Visit But There Is No Need To Travel If You Want To Relax As Golden Sands Has Everything You Need, Please Note That Some of The Park Facilities May Require Membership/Passes. Scenic Walks, Fishing, Sea Front Walks Stretching From Rhyl To Abergele Further On Towards Colwyn Bay Which is Also The Main Cycle Path, There Are Also Two Fun Fairs Within Walking Distance, In Rhyl There Is The Pavillion Theatre Which Has All Star Shows Throughout The Season..
Just had our 5th visit to this fantastic caravan looking forward to our 6th. it is spotless very cosy every thing you need is there for you Tom is very helpful and will do anything for you making sure making sure you have a great stay best caravan we have stayed in thanks Tom. Ruth & mac ???? Wonderful caravan with a fantastic sea veiw, everything you need for a great holiday.Tom kept in touch to check everything was ok ,would highly recommend ,hope to go back later in the year . Perfect Guests and looking forward to seeing you both again soon. Our 2nd visit to this fantastic treasure of a caravan the best sited on this park with a great decked balcony to take in the spectacular views & sunsets... we had bad weather this week but it didn't stops us from enjoying a cosy stay, plenty to do in the local areas. If you go to Llandudno visit the Cottage Loaf for a great meal before heading back to your lovely stay in that cosy caravan! The owner Thomas is always very friendly and always there to help if you need anything, so if you want a great caravan I can highly recommend you contact him. Keep up the good work Thomas All the best .... see you soon ???? Thank you again for choosing to book your holiday with me. Hope to see you both very soon. 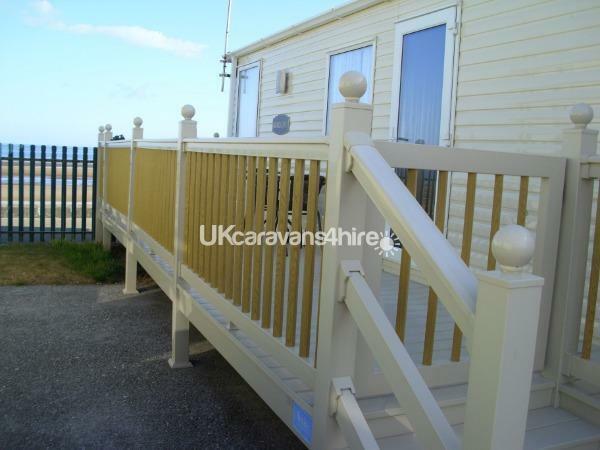 We looked for a caravan on this web site with a sea view and balcony. And can honestly say the pictures do not do it justice. the caravan is all and more you could ask for. 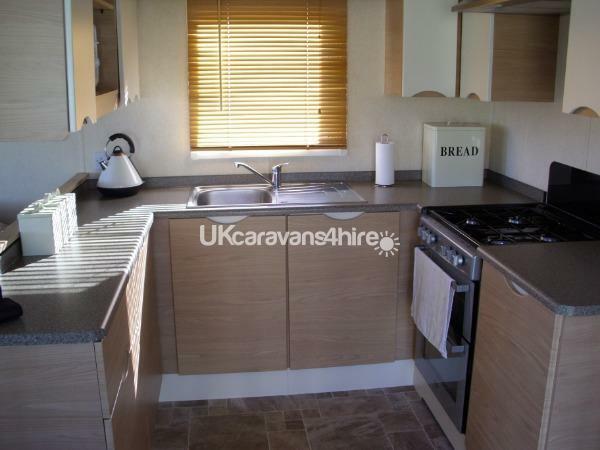 many reviews have said how wonderfull the caravan is, so i wont just go repeating the same, but put aside any worries you might have because this is the caravan you need to book. sit on the balcony on the evening and watch the sun setting and see the sea in front of you. brilliant. and on our last morning, we watched two seals basking in the water not twenty yards out in the water. it just topped off a super week. so much to see, so much to do, plenty of on site play area for children, and the takeaway outlets were all ready to deliver to your door. we even hired a tandam bike from kimmel bay bike hub shop. was such fun, and not expensive. thomas is a really nice chap, he could not do more to make sure we were settled in. a really nice chap. both my wife and i ended up thinking of thomas as a friend. 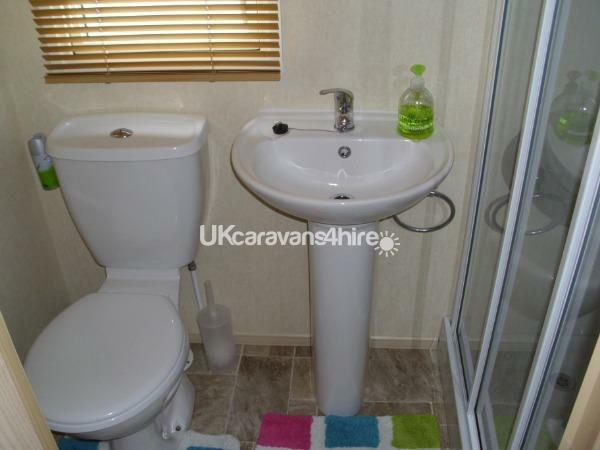 so to sum it up, if you are looking for a caravan in north wales then do go for this one. really top quality. if we could rate it higher than ten we would. This booking was made as a surprise 50th wedding anniversary gift. Made all the better by staying in a beautiful caravan, with perfect sea views and amazing sunsets. We were greeted by Thomas and his father, who were very friendly on our arrival, and very helpful with the workings of the caravan. We were contacted mid week, to ask if we needed any assistance with anything, and this was very much appreciated. Thomas made the whole process an enjoyable one, from the initial booking enquiry and throughout the holiday. 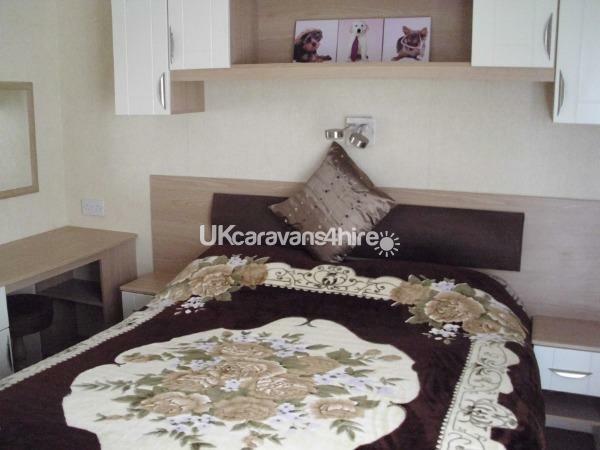 The caravan was immaculate throughout, and everything was provided to ensure a comfortable stay. We particularly enjoyed relaxing of an evening on the decking, watching the world go by. We would definitely recommend and hope to return again one day. Very Friendly Couple. Looked After The Caravan Like It Was Their Own. Thank you and see you both soon ? Home from home. Beautiful caravan. Cleanliness 1st class. Thomas the owner was great. made everything simple from first contact enquiry to arriving for our holiday. He answered any questions I sent to him straight away. We would highly recommend booking. Thank you Thomas. 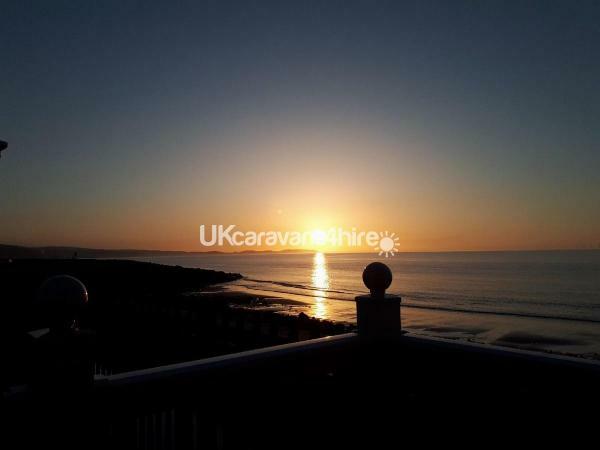 Caravan in an unbeatable location, right by the sea with stunning views. Thomas was a pleasure to deal with and he made sure we had everything we needed and everthing was fine with our holiday. The cleanest caravan we've ever stayed in, it looked like new ! and the caravan was well equiped with everything you could need. Sitting on the decking overlooking the sea was amazing. I would definately book this caravan again when in North Wales. Thank you for your review. Looking forward to seeing you both again soon ? 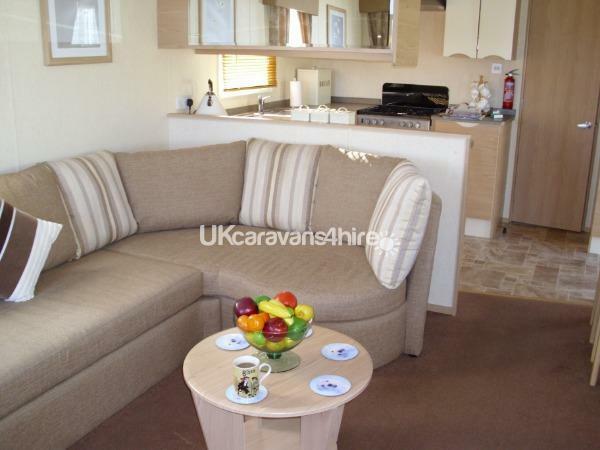 Super caravan..comfortable and very cosy...everything you needed was available. 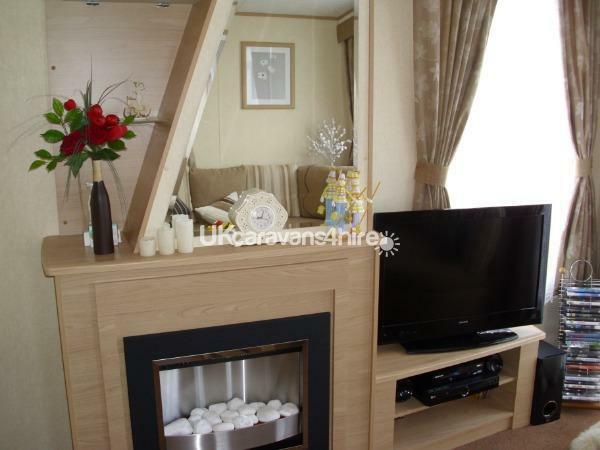 Beautifully position with a great sea view(caravan was only a few yards from the sea). Will definitely be going again. Thank you for your review Looking forward to seeing you both again soon ? Booked two caravans for a family holiday and my son and his partner and 3yr old son stayed in this caravan. 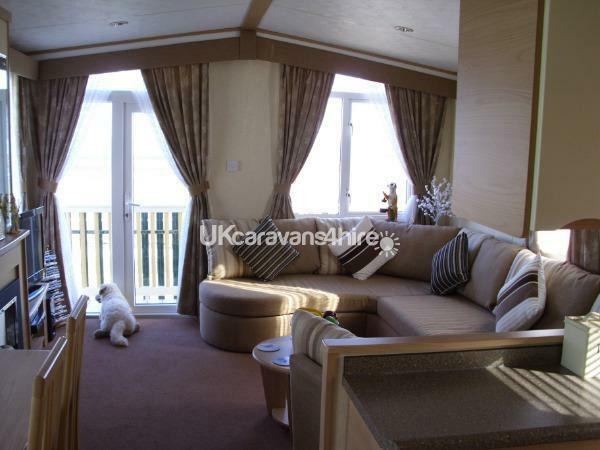 They were over the moon with how clean and beautiful the caravan was and loved the sea view. Thomas was a great guy to book with as he made it easy and stress free and did everything possible to make the family's stay enjoyable. You deserve all the great feed back Thomas and we will be booking again with you very soon. Thank you for your feedback. Looking forward to seeing you again ? ???? Me and my dad had such a lovely long weekend in Thomas's cosy caravan. Everything was perfect,clean tidy and nice and warm. Its one of the nicest caravans we've stayed in,from the comfy lounge with nice warm heating to the gorgeous views out of the window. We will be booking again very soon. Would also like to mention how helpful and friendly Thomas was ? Thanks again Cathy and Fred. We stayed in this caravan last week and to be honest it was absolutely amazing the view and proximity to the sea was stunning to have the sea literally a couple of yards away is something else. Unfortunately we were not able to meet Thomas but he kept in touch regarding our stay and did everything he possibly could to make sure our stay was as comfortable as possible, and it was the caravan wanted for nothing very clean comfy and warm I thought it would be cold due to its location but it was soon warm as toast, it was an experience and I'm sure no one could want for more, I would have booked a return visit but due to personal circumstances I'm not sure what's around the corner regarding employment. I would just like to say thank you so much Thomas for allowing us the opportunity to stay in your caravan and thank you for the kind comments you have sent me, I really hope that we have the chance to meet next time. Regards Stewart and Liz. In a nut shell this was one of the most relaxing stays we have ever had in a caravan, the caravan was superbly cosy & spacious with everything you needed, and the views from the decked balcony was spectacular! Thomas the owner was wonderful and polite he made sure our stay was perfect, thanks Thomas see you soon 5 ????? The perfect guests. Thank you for your review and for looking after the caravan see you soon. This was our first visit to Tom's lovely caravan, but it certainly wont be the last. He was there to greet us and made sure that we were aware of how all the services worked. We were immediately aware of the amazing views from the caravan which made up for the rather inclement weather. Thank you Tom for ensuring our stay was a very pleasant experience. Roy and Tony. We have just returned from a fantastic stay at this caravan. Superb location caravan interior lovely and clean plus everything you need.Highly recommended We have already booked to return in 2018 can't wait. Owner Tom very helpful and a pleasure to deal with throughout Thanks again Tom . The perfect couple and they looked after the caravan as if it was their own, Thanks again and looking forward to seeing you both very soon. Looking forward to seeing you soon Thanks again for your feedback. Thanks for your review. Looking forward to seeing you soon. Thanks for your review, look forward to seeing you soon. Met owner Tom on arrival who was very helpful and made sure we had all information and essentials we needed to start our holiday. 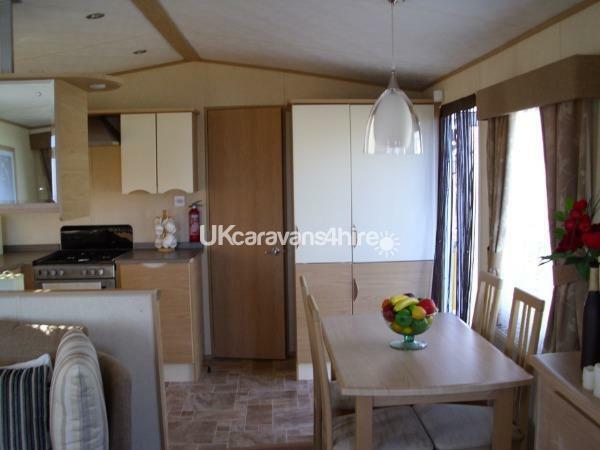 Caravan was in prime location (beautiful views) and was spotless throughout. Decking around caravan was great feature with locking gate which gave our 2yr old grand daughter extra freedom. Site also kept up to good standard with enough to keep kids happy but also plenty of places and things to do within walking distance or a short drive. Would recommend for couples or families. If we return to Wales will book again as we all had a great holiday. Thank you for your review Hope to see you soon. 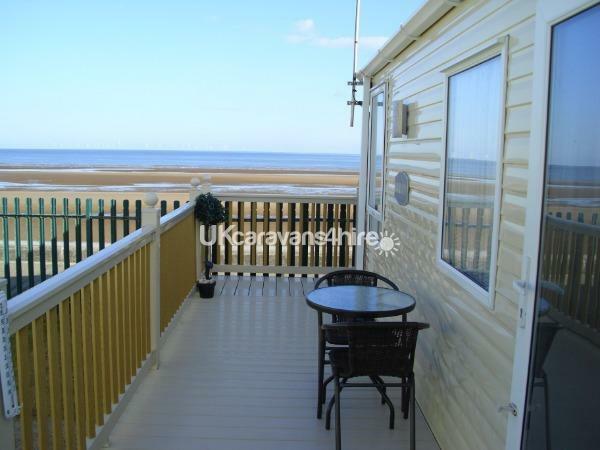 Beautifully situated caravan right on the sea front spotless clean,superb sight, owner was very helpful and friendy. Would definitely recommend and will definitely be returning again soon. 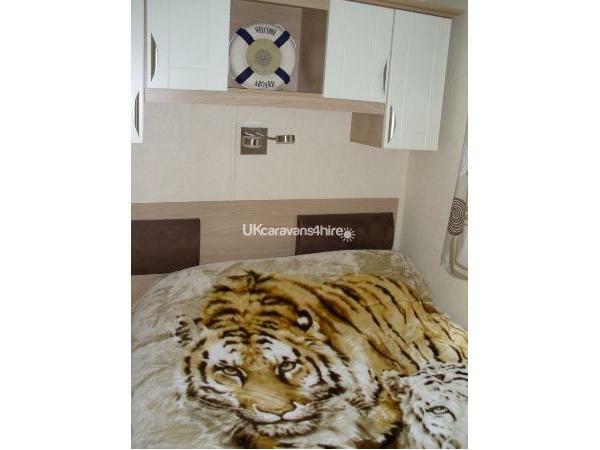 The main bedroom is absolutely massive very comfortable beds fresh sheets shower is brilliant over all superb caravan you will not be disappointed. caravan was lovely clean beautiful sea views in prime position. excellent customer service from Thomas , nothing was too much trouble .plenty to do on site and off .we had a great time and picked a good week with lots of sunshine.im sure we would like a return visit soon . Thank you For Your Booking, Looking forward to seeing you all again soon. Lovely stay at the caravan, great location with lovely views of the beach. Facilities on site are good, mainly for families. Tom the owner of the caravan was lovely and welcoming, meeting us at the caravan and guiding us when we needed help. Would highly recommend! Perfect Guests And Looked After The Caravan. Look Forward To Your Next Visit. You were the perfect guests and looked after the caravan which is much appreciated, Looking forward to seeing you soon. Fantastic, by far the best caravan we have hired. Location on site and views - outstanding. Tom met us on arrival and couldn't have been more helpful. Everything was superb, do I need to say anymore? If we visit North Wales again, Tom will be our first call for accommodation. Beautiful well kept and well equipped caravan, a real home from home, spotless , and possible the best spot in caravan park, its our second visit , and we were not disappointed, the views from the caravan are spectacular , from Sunsets to Storms, we enjoyed it , especially with our candles on and wine chilling in the fridge . Excellent for young families, couples of all ages, walker's and cyclists. We walked everyday, our walk to the Asda every day along the coastal walk, possibly the best walk to a supermarket we know !! Walk to the harbour also on the list , as well as our walks into Rhyl, which is being lovingly restored !! We also loved the Marine Lake with a miniature railway , great for all ages !! Site is very well kept, and offer's a nice choice of drinks and food in bar area. Most of all Thomas the owner is there to meet you and help in any way, its the best well kept caravan we have stayed in............we will be back, Thank you Thomas for sharing your home with us. Pat and Dave. Shelagh and her family were the perfect guests Look forward to seeing you again.